Metal bed frames are a great way to support your mattress and box spring. 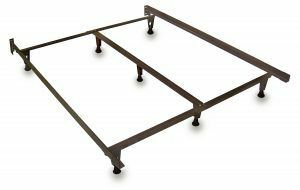 We offer a variety of bed frames from knickerbocker and in fact, we can accomodate your custom size bed on one of these metal bed frames. Heavy duty adjustable metal frames to support the mattress and box spring. Wheels included.